Sophisticated RIP software for Textile & Apparel, "TxLink4"
Textile software RIP "TxLink3" has become further sophisticated and user-friendly. New useful functions, including "Parallel RIP" and "Load balancing" to increase productivity, and "Variable print function" applicable to team-order production of uniforms, are added. 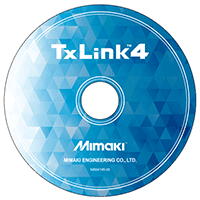 The functions inherited from TxLink3 are also improved in various points such as expansion of applicable formats, response to PDF transparency effect, and operability. Parallel RIP and load balancing functions make production more efficient. A 16-bit rendering realizes beautiful gradation expression. Variable print function tailored to applications for apparel is provided.